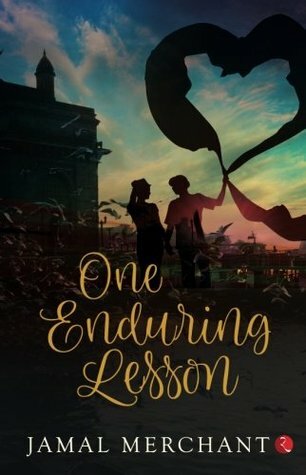 Book Epigram – The book ‘One Enduring Lesson’ is an outcome of the fiction, marvelously done by the author ‘Jamal Merchant’. He has weaved a beautiful story which contains love, suspense, compassion and a lot more to describe the story well. The story is about a boy Rahul, his difficulties and the calls he take to overcome these difficulties. His journey in the book is full of ups and downs and surprises. The author has portrayed the religions and relations from his core understanding without differentiating or comparing them with each other, which has added aroma to the story. The writer has very strong command over writing. Different chapters in the story are to the point and given optimum stretch. I really find this book nice, clean, interesting and filled with many other reading qualities that a reader actually looking for in any good book. My Critique – This book is about the story of its main character Rahul and different turns which his life takes with time. Initial hardship phase of Rahul is extracted really well. Religion is not a problem if it is not problem with the person itself, proved well throughout the book. A person can get the solution from anywhere, all he/ she needs is just to keep himself open and receptive for the positive thoughts. The story line is very strong and possesses you with its flow. It also binds you by creating suspense toward the approaching incidents. The author has involved a lot of essence in the same story. Overall I found that this book really good and interesting. About The Author – Jamal Merchant came to England from Tanzania, East Africa, in 1972, and qualified as a Chartered Accountant in 1976. He then settled in London where he is now self-employed as a property finance broker.Jamal has travelled widely including to India, China, Egypt, USA, Canada and the Middle East. His interests include reading, current affairs, movies and cricket. One Enduring Lesson, a love story based in India, is his debut novel. This detailed review is very helpful. Thanks for sharing it.